Trending at $255.94eBay determines this price through a machine learned model of the product's sale prices within the last 90 days. Trending at $379.11eBay determines this price through a machine learned model of the product's sale prices within the last 90 days. 30 Days Warranty | Free Shipping | Overnight Avail. Item for sale is a NEW in box Apple iPhone 7 32gb in Rose Gold. Trending at $393.99eBay determines this price through a machine learned model of the product's sale prices within the last 90 days. 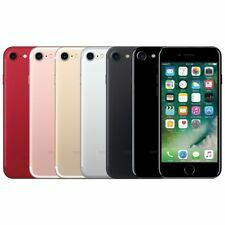 Apple iPhone 7 128GB (PRODUCT)RED Unlocked Cell Phone. GSM Unlocked. 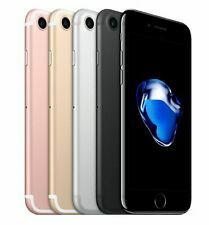 Apple iPhone 7 128GB Unlocked. Capacity: 128GB. Phones by Carrier. Model : Apple iPhone 7. Processor: Apple A10 64-bit. This phone isunlocked. Item for sale is a NEW in box Apple iPhone 7 32gb in Gold. Trending at $326.65eBay determines this price through a machine learned model of the product's sale prices within the last 90 days. Network Unlocked. This phone will work with any GSM carier. Network Technology GSM / EDGE / UMTS / HSPA / DC-HSDPA / FDD-LTE / TD-LTE. Type Smartphone. Storage Capacity 32GB. Family Line Apple iPhone. Trending at $209.99eBay determines this price through a machine learned model of the product's sale prices within the last 90 days. Trending at $339.99eBay determines this price through a machine learned model of the product's sale prices within the last 90 days. They WILL NOT WORK with CDMA carriers like Sprint and Verizon. Gold GSM Unlocked. 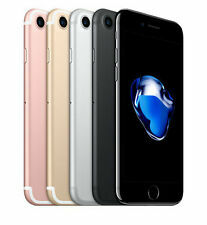 Apple iPhone 7 32 GB. Is this device carrier unlocked?. Can the device be unlocked?. At CIT Electronics, we are proud of the quality of our service and the products we provide. "Poor" Condition. Devices can have screen issues of all types or other minor issues that do not affect the functionality of the phone. This iPhone is Unlocked for use with GSM carriers and cannot be used with CDMA carriers such as Verizon or Sprint. iPhone has been fully tested and reset to factory settings by a certified technician and is in fair cosmetic condition with moderate wear and tear including scratches, scuffs, dings and blemishes present. Comes with a compatible USB cable and wall adapter. No SIM card is included. They WILL NOT WORK with CDMA carriers like Sprint and Verizon. Silver GSM Unlocked. 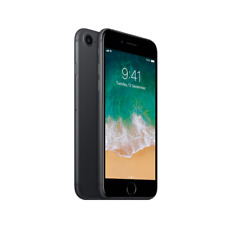 Apple iPhone 7 128 GB. We are not responsible for any settings issues, it is your responsibility to make all the features work with your carrier. Ø For GSM and CDMA World Phones =>Sim Card is NOT included unless specified.